A delicious and fun way to make mince pies even more easy to eat. The filo pastry is so crisp against the warm spiced cranberry mince. 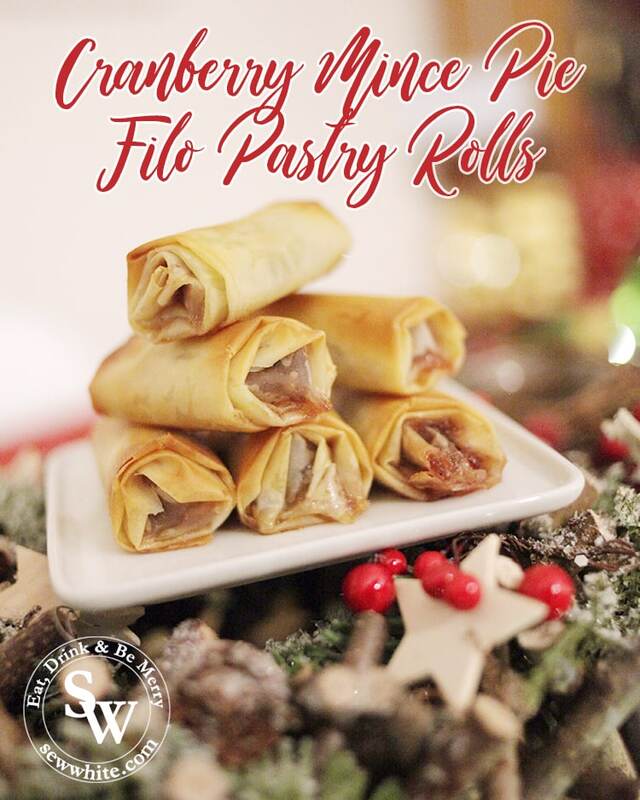 Make sure you try my Cranberry Mince Pie Filo Pastry Rolls.